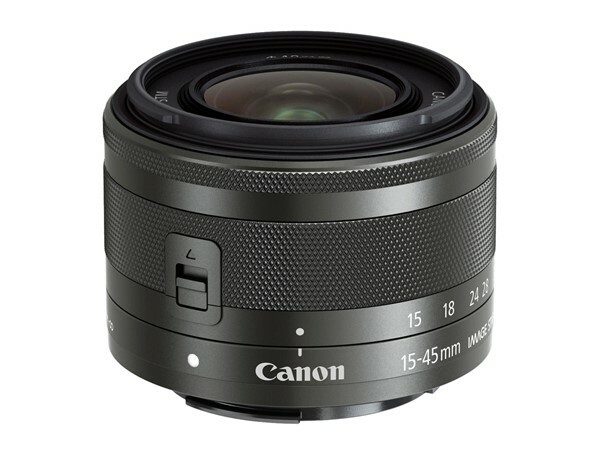 Canon announces the EOS M10 mirrorless camera with a new collapsible EF-M 15-45mm F3.5-6.3 IS kit lens. The EOS M10 combines Canon’s most advanced image processor, DIGIC 6, an 18 Megapixel sensor, and Hybrid CMOS AF II to deliver responsive handling and stunning image quality in both stills and Full HD Movies. The M10 also offers a 3″ 1.04M dot tilting touchscreen LCD, built-in Wi-Fi with NFC and 1080/30p video recording. 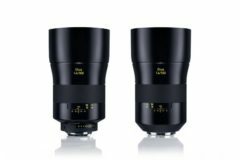 Its ISO range extends from 125 to a 25600 expansion. 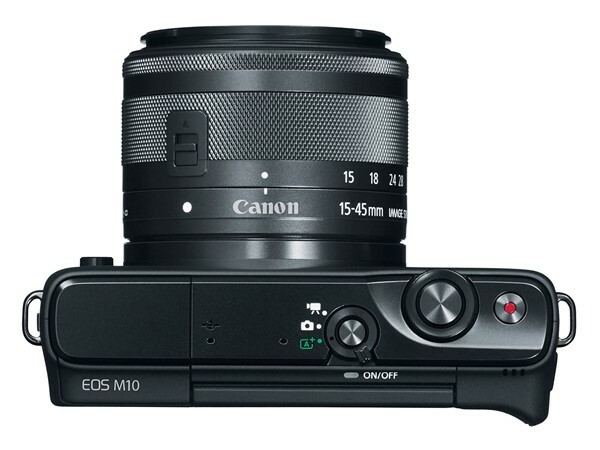 The EOS M10 will be available from November 2015. 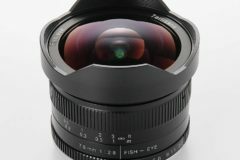 It will sell for $599 with the new 15-45mm, and will be offered in grey, black or white. 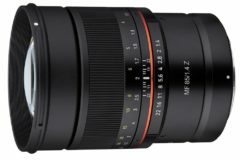 The new lens will be available separately as well, available for $299, and a silver version of the existing EF-M 55-200mm F4.5-6.3 IS STM will go on sale for $349. 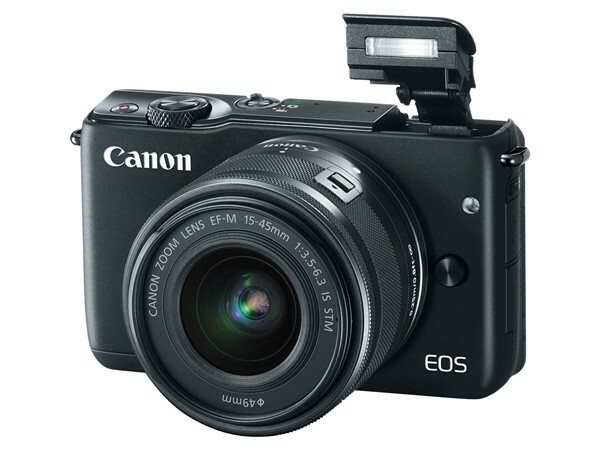 MELVILLE, N.Y., October 13, 2015 – For capturing and sharing life’s important moments with great clarity, Canon U.S.A. Inc., a leader in digital imaging solutions, today announced the EOS M10 interchangeable lens digital camera. A compact and stylish design, the EOS M10 camera has the features and lens options to help photographers expand their creativity and the mobile compatibility and size for social-sharers to stay connected with sharp images that are sure to draw ‘Likes’. Adding to its compact design, the EOS M10 camera is fitted with a new retractable EF-M 15-45mm f/3.5-6.3 IS STM lens, that shortens and locks into a compact size when not in use. This retractable Canon interchangeable lens provides outstanding image quality that helps the EOS M10 camera remain small and lightweight to go with you anywhere. For those “selfie” moments that can’t be missed, the EOS M10 camera’s three-inch screen tilts up 180 degrees to help make sure everyone is in the shot. The touch panel LCD screen also lets users browse images and navigate menus with ease. 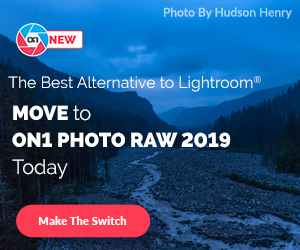 The camera’s Creative Assist mode makes it easy to adjust settings and add effects such as brightness, background blur, vividness of color, contrast, warmth and filter effects to create share-worthy images on the go – letting you stylize your photos and capture the moment just as you want. And, to help everyone look their selfie-best, the Self Portrait mode adjusts camera effects and settings to enhance skin smoothness and brightness. The built-in Near Field Communication (NFC) functionality of the EOS M10 camera is compatible with most current AndroidTM devices** for easy setup of Wi-Fi® communication, and the camera’s Mobile Device Connect Button supports wireless connectivity with IOS® and AndroidTM devices. The EOS M10 camera also supports wireless remote control featuring live view in compatible Apple® and Android devices using Canon’s free Camera Connect app***, available through the Apple App Store and Google PlayTM store. The EOS M10 camera is fully compatible with Canon’s Connect Station CS100, a home hub device that provides a fast and easy way to store photos and videos from the camera as well as view them on the living room TV, transfer them to social media networks and share them with other linked Connect Station CS100 devices, for an added level of sharing. The EOS M10 camera is scheduled to be available through authorized Canon dealers in November 2015, and will be offered in a kit with the EF-M 15-45mm f/3.5-6.3 IS STM zoom lens at an estimated retail price of $599.99. 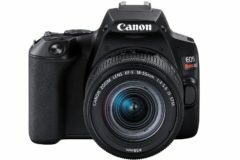 The camera body is available in black or white, and will also be available in gray exclusively through the Canon Online store at http://shop.usa.canon.com/. 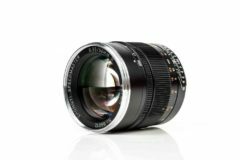 In addition, the new EF-M 15-45mm f/3.5-6.3 IS STM zoom lens is scheduled to be available in November 2015 at an estimated retail price of $299.99 and a silver version of the current EF-M 55-200mm f/4.5-6.3 IS STM zoom lens also is scheduled to be available in November 2015 at an estimated retail price of $349.99. 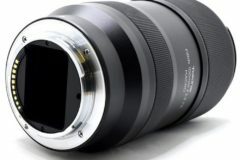 * Mount Adapter EF-EOS M (an optional accessory) is required for use with EF and EF-S lenses. ** Compatible with Android devices versions 4.0/4.1/4.2/4.3/4.4/5.0/5.1. *** Compatible with iOS versions 7.1/8.4, Android smartphone versions 2.3.3/4.0/4.1/4.2/4.3/4.4/5.0/5.1 and Android tablet versions 4.0/4.1/4.2/4.3/4.4/5.0/5.1. Data charges may apply with the download of the free Canon Camera Connect app. This app helps you to upload images to social media services. Please note that image files may contain personally identifiable information that may be subject to privacy laws. Canon disclaims and has no responsibility for your use of such images. Canon does not obtain, collect or use such images or any information included in such images through this app.